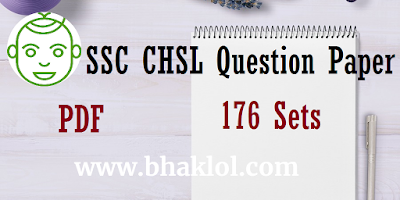 Dear Students, We are sharing Previous year questions paper of SSC CHSL(10+2) Exam. Its official question paper, means its the actual paper of SSC CHSL Examination. If you do these papers meanwhile you must pass this examination because we know SSC repeats questions. 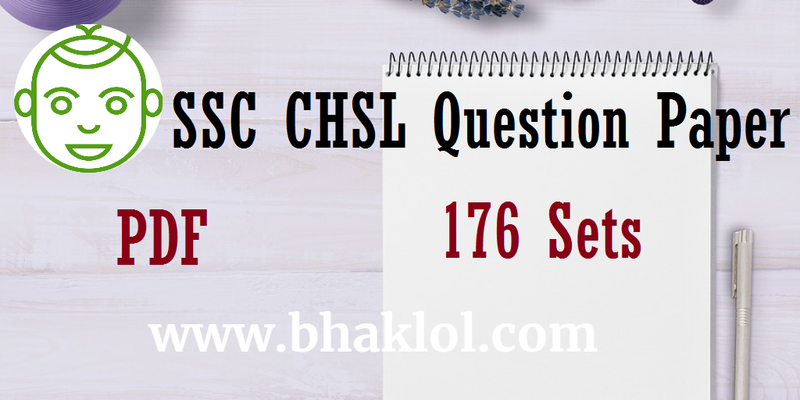 We are sharing question paper of SSC CHSL 2008, SSC CHSL 2009, SSC CHSL 2010, SSC CHSL 2011, SSC CHSL 2012, SSC CHSL 2013, SSC CHSL 2014, SSC CHSL 2015 and SSC CHSL 2016.